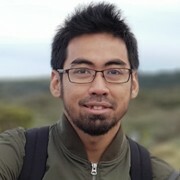 Amir joined the RSPO secretariat in March 2018. In his current role as GHG manager, Amir serves as the focal point on all matters related to Peat and GHG emissions for RSPO certification and plantation operations. Amir was trained as an Environmental Engineer and holds a Bachelor Degree in Environmental Engineering from University of Malaya (UM), Kuala Lumpur. Prior to joining RSPO, he was attached to the sustainability department of a major palm oil company for 7 years managing emission reduction projects, carbon & water inventories, internal auditing, and sustainability reporting.